From Jazz basketball games to Utah Symphony concerts, date nights for all couples and occasions. Spring is here and love is in the air. Now that the weather has warmed up, Utahns from Logan to St. George are buzzing about, looking for things to do. This is especially true on Fridays and Saturdays when couples are out in search of activities for date night. “There is so much to do in Utah, so much happening on any given night,” said Amy Barnett, president of Wumpsee, a Utah online event calendar. Whether you’re looking to celebrate something special or just wanting to show your significant other that you appreciate them, spring is a perfect time to do so. "From sporting events, sensational theater, or a beautiful, romantic visit to Red Butte Gardens, while walking hand in hand, Utah has it all," Barnett explained. 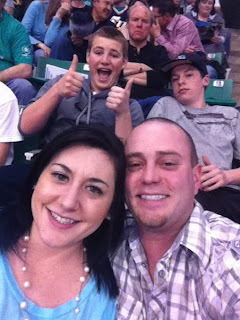 According to Barnett, “Jazz basketball games always make a fun date. Even if you’re not a fan of the sport, the exciting atmosphere is contagious.” The Jazz play the San Antonio Spurs in Salt Lake City on April 9 at 7 p.m. “You might even consider hitting up Happy Sumo for dinner before the game,” Barnett said. According to Salt Lake Chamber spokesman Marty Carpenter, "there is a new energy downtown.” "With the opening of City Creek Center and new shops and restaurants popping up all over, there are more people on the streets and you can feel the difference,” Carpenter said. "No matter what you're looking for, you can find it in downtown Salt Lake City. There are restaurants to suit any taste, world-class art and plenty of shopping." FYI: Enjoy Utah's contact, Steve Nord, can always get you discount Utah Jazz and Salt Lake Bees tickets. Call him at (801) 325-7222. The Salt Lake Bees play the Tucson Padres at Spring Mobile Ballpark on April 14 starting at 6:35 p.m. “Bees games are wonderful to attend. I am a huge baseball fan, so for someone like me sitting on the third base line, eating peanuts and cheering on the boys of summer would be a perfect date,” she said. “And of course no baseball game is complete without a traditional ball park frank.” FYI: Enjoy Utah's contact, Steve Nord, can always get you discount Utah Jazz and Salt Lake Bees tickets. Call him at (801) 325-7222. Professional soccer games with Real Salt Lake make some of the most exciting dates in town. “The unique thing about Real Salt Lake games is the Carnival Real beforehand,” Barnett said. “Head to the stadium with your date two hours before the game and join in the fun on the front lawn. It’s sure to be a blast.” Stan Parrish, CEO of the Sandy Chamber of Commerce, also suggested Real games for date nights. “There are a number of things you can do in the Sandy area for dates, most of which cost little to nothing. Sandy Amphitheater has become a very fun hot spot for Utah events. Or there are a number of parks and trails to walk on." Parrish said. For these and other events happening in Utah visit www.wumpsee.com. Great date ideas! Thanks for posting them! One of my favorites is the Bee's game when the fireworks go off. Great date ideas! Thanks for posting them! One of my favorite date night is the Bee's game while the fireworks go off.